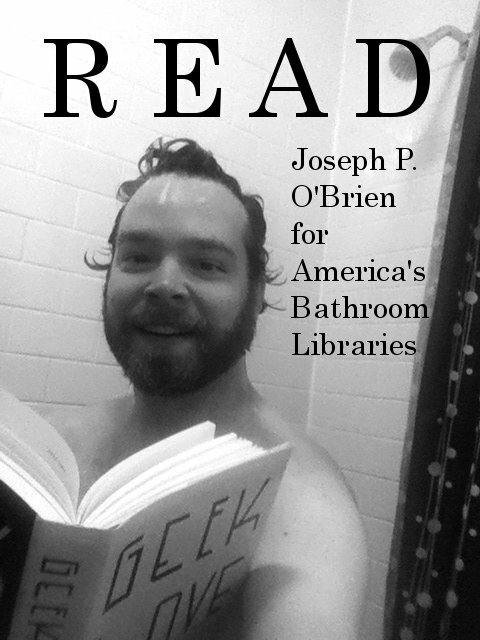 For the latest ad in our campaign to promote Bathroom Reading, our editor enjoys one of his favorite books (Katherine Dunn’s Geek Love) in one of his favorite places (the shower). beautiful showering victim at the Bates Motel! would have been a ‘dead’ give away!